From a fabulous favourite, Cinderela B, comes the customisable Charmology range. Simply choose your chain and charms to make your own unique charm necklace. The Hummingbird represents nature, grace and determination. 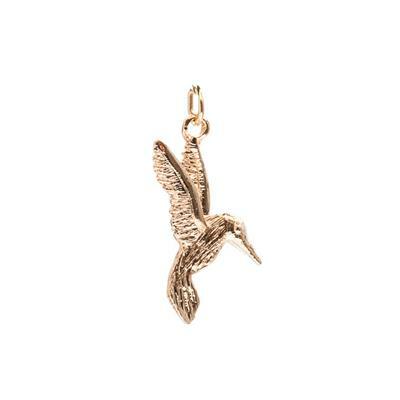 The Hummingbird looks fabulous layered up with other charms from the collection. All charms slide on and off the chain easily, so you can add new charms later on or add a charm to your friend's necklace. Gold charms are 22ct Gold plated and Silver charms are 925 Sterling Silver plated. All Cinderela B jewellery is hand made in Spitalfields, London.